The stark white signs have a nice contrast of navy blue lettering. 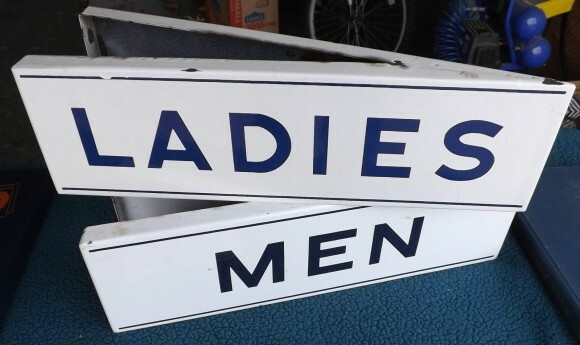 The signs are 20″ by 6″ and say “Ladies” and “Men”. If looking from above, the signs have a triangle shape to help hold them up.